Kid Icarus Uprising might be Masahiro Sakurai's first 3D game, but isn't keen on losing that extra dimension. 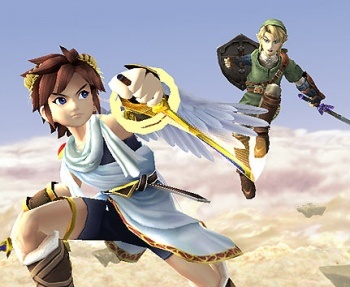 Masahiro Sakurai, project lead for Kid Icarus Uprising for the 3DS, believes that he is going to find it hard to go back to designing games in 2D after working on 3D game, saying that it will feel "flat." Sakurai said that he had grown used to working in 3D and likened it to the movie Avatar, where the audience quickly become accustomed to the 3D effects, and stopped consciously noticing them. "That's the nature of the way we get used to things as they become familiar," he said. "I would think that going back to 2D after working on a 3D project may be very difficult for me." It must be a very different challenge to design a game with 3D in mind, rather than to convert an existing 2D game, but it sounds like it's one that Sakurai rather enjoyed. While incorporating depth into a game must be tricky at first, it also must present some interesting and unique gameplay opportunities. As the 3DS doesn't have a release date yet, there's no news on when Kid Icarus Uprising will be available.